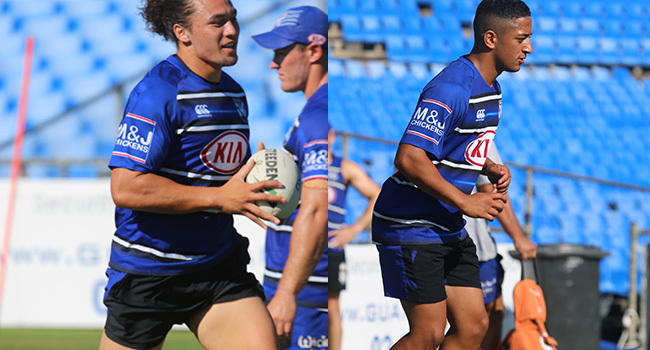 The Canterbury-Bankstown Bulldogs have extended the contracts of forward Raymond Faitala-Mariner and local junior Brandon Wakeham. Faitala-Mariner, who debuted in the NRL for the Warriors back in 2015, made 16 appearances for the Bulldogs last season, many of them off the bench. The hard-running 24 year-old second rower, was a major impact player with his aggressive running style and ability to offload. Faitala-Mariner has had his contract extended for an additional year until the end of the 2020 season. 19 year-old halfback Brandon Wakeham, has received a two year contract extension, keeping him at the Bulldogs until the end of the 2020 season. The local junior from Chester Hill, is a graduate of the club's Harold Matthews, SG Ball and Youth High Performance teams and was named SG Ball Player of the Season in 2017.